In this article, you’ll learn to use plot function in R. It is used to make graphs according to the type of the object passed. 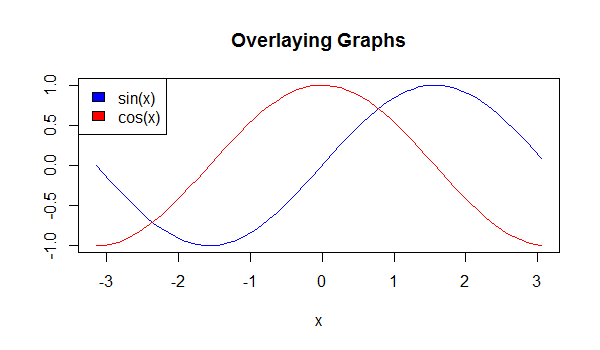 The most used plotting function in R programming is the plot() function. 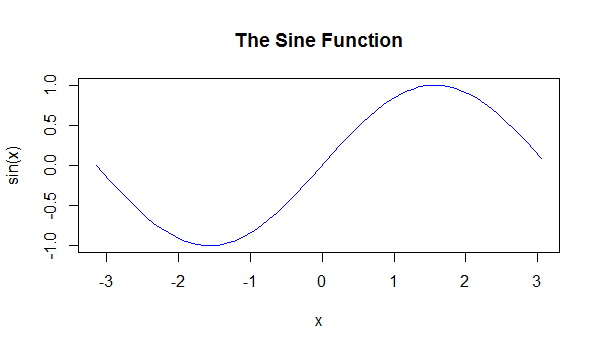 It is a generic function, meaning, it has many methods which are called according to the type of object passed to plot(). In the simplest case, we can pass in a vector and we will get a scatter plot of magnitude vs index. But generally, we pass in two vectors and a scatter plot of these points are plotted. For example, the command plot(c(1,2),c(3,5)) would plot the points (1,3) and (2,5). 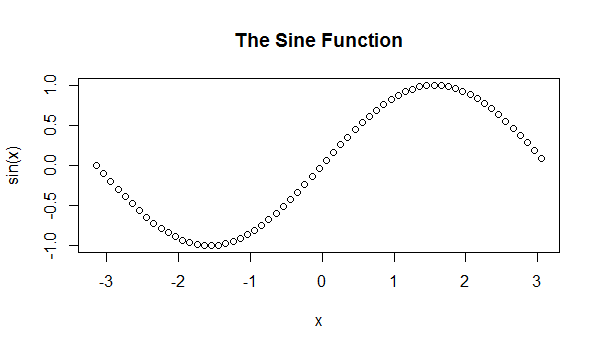 Here is a more concrete example where we plot a sine function form range -pi to pi. We can add a title to our plot with the parameter main. Similarly, xlab and ylab can be used to label the x-axis and y-axis respectively. We can see above that the plot is of circular points and black in color. This is the default color. We can change the plot type with the argument type. It accepts the following strings and has the given effect. Similarly, we can define the color using col. Calling plot() multiple times will have the effect of plotting the current graph on the same window replacing the previous one. However, sometimes we wish to overlay the plots in order to compare the results. This is made possible with the functions lines() and points() to add lines and points respectively, to the existing plot. We have used the function legend() to appropriately display the legend. Visit legend() function to learn more. Also visit plot() function to learn more about different arguments plot() function can take, and more examples.